I was drawn to clevercanines because I get to be involved with helping people reach the goals they have set for their dogs. I personally have three dogs and know how amazing it feels when you and your dog master a technique you have been working on. 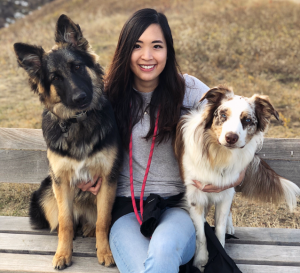 What really sold me on clevercanines was after reading the core values and understanding how important these values are to strive for in my everyday life. 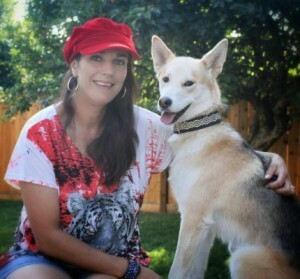 One thing I love sharing with people about clevercanines is that it is more than a dog training company. 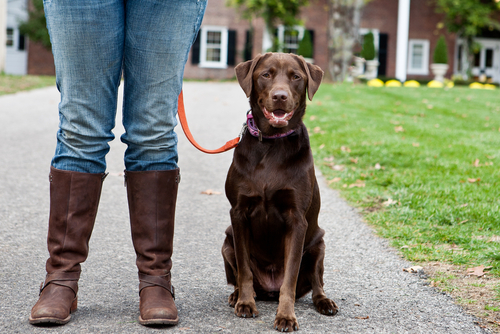 clevercanines keeps training with your dog’s best interests in mind and does so in a unique way. 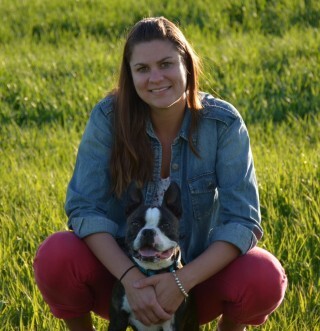 The philosophy and techniques offered set you and your dog up for success in reaching your goals for how you have dreamed the relationship with your dog would be. I have a passion for animals and a soft spot for dogs. I want to make a difference even if it is something so simple as to train someone how to be proud of their dog and to experience freedom. I think that for every person I will have the opportunity to instruct will be a success in my eyes. I love sharing how much fun the staff are and how supportive they are. That even though you have completed a class with them that the support doesn’t end there and that you are and will always be a valued customer. 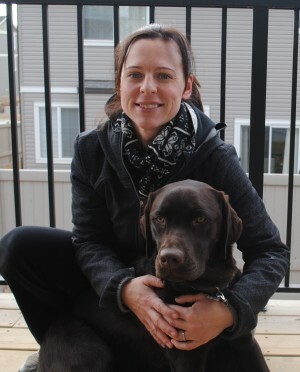 The most exciting thing about joining the clevercanines team is simply working with people and their dogs. I am looking forward to helping people gain a positive experience with dog training; similar to what I experienced with Lucy. It is very rewarding to see your dog come to you from 200 meters away when you recall them. I love watching Lucy running towards me when I say “POPCORN” as it is something that you built together with your dog, a practical application learned from the training. That is something I look forward to clients experiencing. The greatest value to the team would be my 10 years of experience in customer service. I understand how to handle a variety of personality types and can work in in a high pace environment. I think the thing about me that will be the greatest asset to the clevercanines team is my patience. 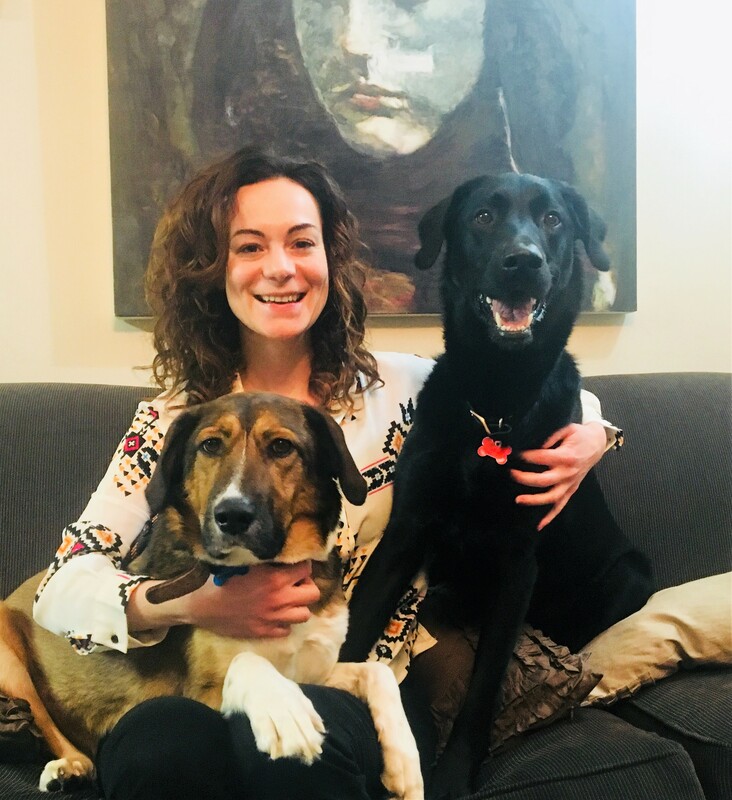 The one thing that is most exciting to me about joining the clevercanines team is the energy that I get from the clevercanines team, the clients, and all the dogs! I think I will be a great addition to the team because of my creative thinking and curious nature. I am always thinking outside the box to find the most fun or efficient way of doing things, and am always curious to see what will happen next. The most exciting part of joining clevercanines is a toss up between, getting to lead a class and strengthen my skills on public speaking; a very important skill in my mind, or the simple answer of getting to be around so many dogs. After teaching junior high for 18 years, I was looking for a new challenge and opportunity in my life. After seeing the community atmosphere and culture at clevercanines I knew right away that it could be a company that I could really get behind and support 100%. Everyone has great intentions when getting a new puppy but with our extremely busy lifestyles it is very easy to let behaviours slide. clevercanines has given me the opportunity, strength and knowledge to address inappropriate behaviours and move forward more confidently. 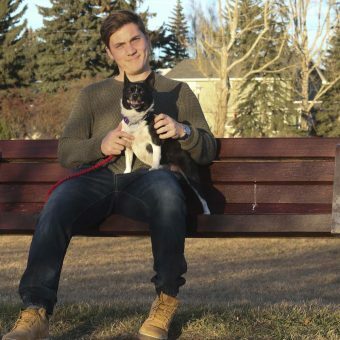 I came to clevercanines when I was afraid to take my dog Quinn to the park not knowing how she would react to other dogs when she was with me. I realized that the relationship between us was the problem and I came to clevercanines looking for answers on how to fix it. 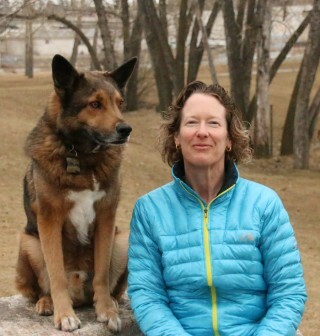 I learned from clevercanines that there is no ‘bad dog’, but that I needed to ‘read’ and ‘listen’ to her signals and take control of the situation and most importantly not to put her in a situation that could become out of control. I feel much more comfortable now when I am out with Quinn and I love how people comment on what a well behave dg she is! Of course, I always say it is because of clevercanines! It’s exciting to me to join a team who’s values are in line with my own, who pride themselves in giving top quality personable customer service in a world today where too much is automated and anonymous. Growth, expansion and change is what keeps the human experience interesting and challenging and it’s so great to join a company who embraces that viewpoint, without ever sacrificing the integrity of it’s values. Variety to me is the spice of life and it’s a dream to me to be working in a field where I can be productive and contribute in so many different ways. I believe my greatest value to the team is my ability to take on new adventures with over the top commitment and zeal. You can be sure of my dedication and loyalty as a team player who will do my best to support the team as well as ensure that I’m giving 150% to the task at hand. I came to clevercanines looking for some skills to help with our walk – mostly because our timid, 4.5lb CryBaby would put on the brakes at any noise or shadow. He wasn’t getting the exercise he needed because we were literally dragging him around the block. After the first session of jumpstart there was a huge improvement in his confidence and we were able to start doing more exploring in our neighbourhood. 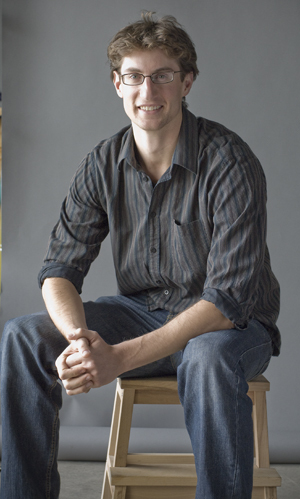 The most powerful tool for us, is the “snap-sit”. We can quietly put the dogs into a sit from almost any distance – I’ve been successful with CryBaby at more than 30 feet away! The snap-sit is an extremely impressive tool – even simple to use. It keeps the dogs out of trouble when we’re visiting friends and even a great way to manage their energy when we’re allowed to take them into stores and shop. 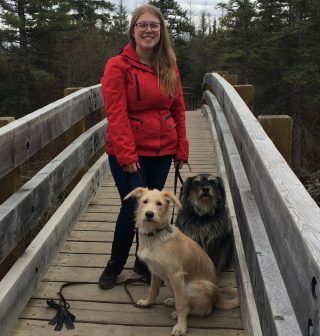 Joining the clevercanines team was important to me because I was looking to do something fun and meaningful outside of my full-time job. clevercanines brings both those things together for me. The one thing I feel that I can bring to the team is my ability to incorporate humour and knowledge together to help people learn new things and have fun at the same time! 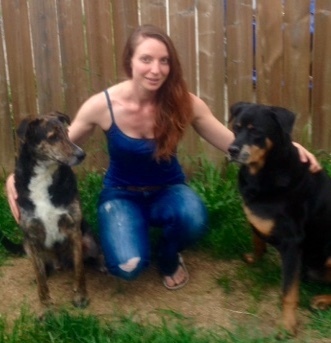 When people ask me where I took my dogs for training, one thing I always tell them about the clevercanines core program is that it requires commitment and a lot of hard work, but it is really worth it in the end. 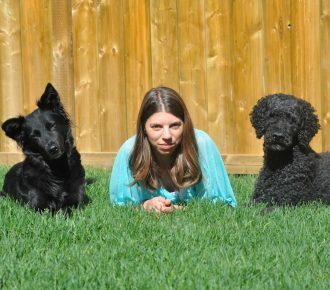 It is something I always try to emphasize when I talk about my own experiences with clevercanines, because while it wasn’t an easy program to go through with my dogs, I saw huge progress at the end and the fact that it takes a lot of work just showed me how committed clevercanines was to helping me with my dogs. They’re not in it for quick fixes, they’re in it so you can create a lasting, trusting partnership with your dog(s). I think one thing about me that I will bring to the team is my commitment to helping others. I am committed to bringing whatever experience and knowledge I can to working with every person and puppy, as well as learning as much as I can in my new role. I’ve wanted to work with dogs and people for as long as I can remember, so when I saw the job posting for clevercanines I knew I had to be a part of this astounding company. Ever since the first day I stepped into the clevercanines facility and was apart of one of their sessions I have not been able to stop sharing the knowledge I receive every single time I’m there! All the staff members are so friendly and professional, it creates a really positive environment that I truly enjoy being in. The trust and respect I have for every clevercanines team member that I have had contact with is what makes joining the team so exciting. It is incredible to have the opportunity to work with people who are so knowledgeable, dedicated and enthusiastic about helping people achieve their goals with their dogs. I believe my greatest gift to the team is my natural empathy with the clients. My sense of knowing who needs support and being able to help them work through their frustrations and support them as they progress through learning new skills. 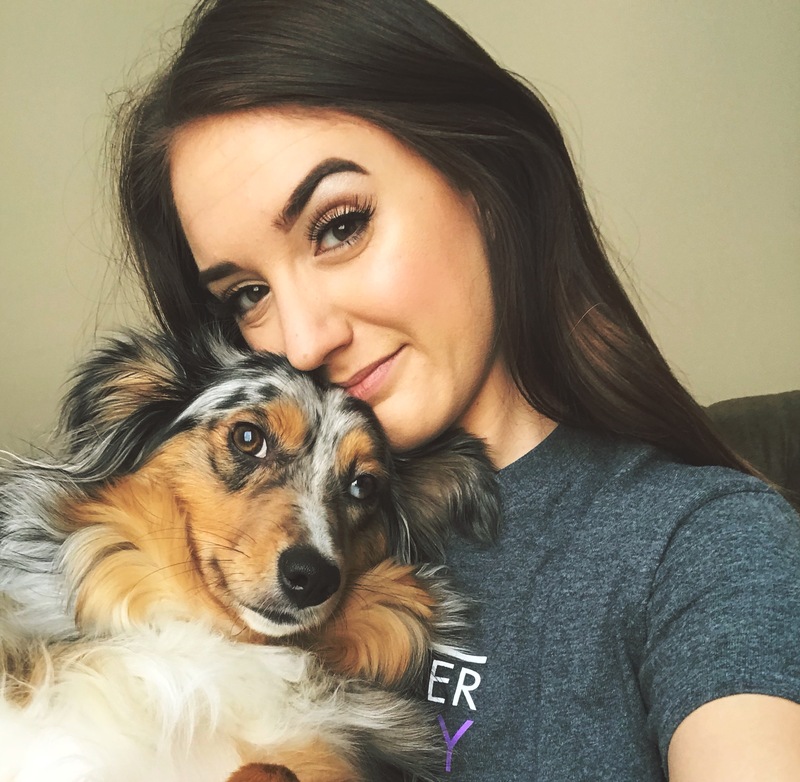 At first, I was most excited about joining the team because it meant that I would get to work with dogs, but now I am excited to be a part of a community that is supportive and encouraging and I know that joining this team will teach me a ton! 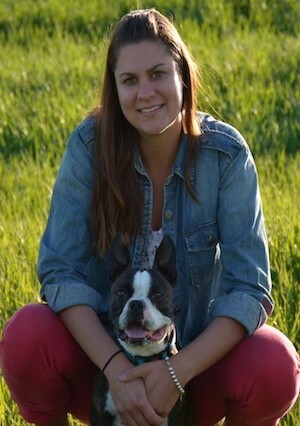 The one thing I love sharing with clients or others about clevercanines is that it is more than just training lessons for your dog, they go above and beyond to make sure that clients can have a healthy and lasting relationship with their dogs and are wanting to be a support system throughout the entire client experience. I love how clevercanines teaches consistency. I believe this is the most important tool to have when training your dog. It allows your dog to understand what you are asking 100% of the time, instead of always guessing. I want people to have fun with their dogs and to realize the potential their dog has. Being able to join a company that allows their clients to experience so many facets of the dog world is important to me. 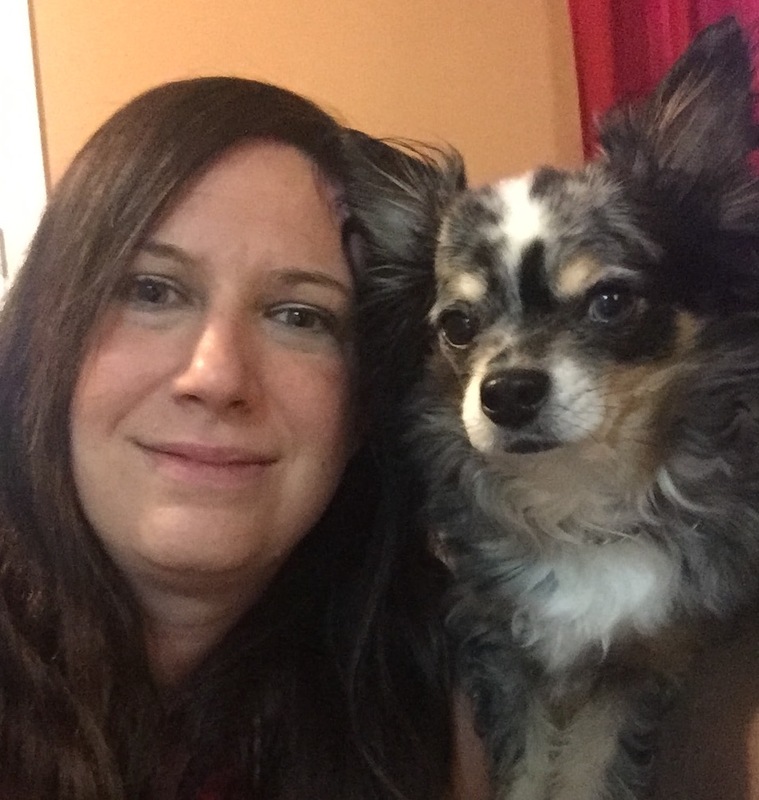 Joining the clevercanines team is important and exciting to me because of it’s this amazing community of extremely knowledgeable and passionate dog lovers. I love animals and want to be a part of spreading knowledge to make their world a better and happier place. I was attracted to clever canines because of the passionate and knowledgeable staff. This combination of attributes is a powerful tool in inspiring others to want to learn and grow, driving change. 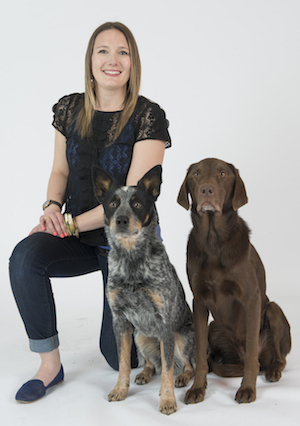 clevercanines has encouraged patience and increased my knowledge, making my dogs and I a better team together. It all started with a severely injured pup that my sister rescued. A sweet dog who was also a great challenge to train, take on walks and deal with but introduced me to the canine world and I have fallen in love with dogs ever since. 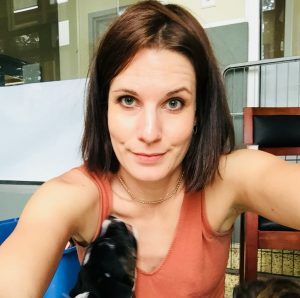 The role and company culture called out to me and I knew dog training was a skill I wanted to learn and excel at in a community that genuinely values what they do. The clevercanine’s philosophy of believing that any goal with your dog is possible has helped me in my relationships with dogs in my life. 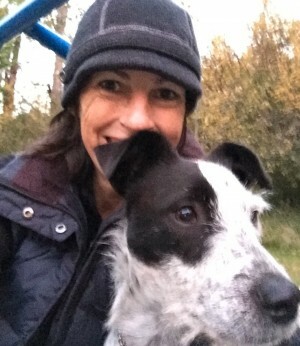 I have experienced how dogs and humans can enhance each other’s quality of life, believing in your dog, learning about them and giving them the time and training they need helps create a liberating experience for both! In never giving up, dogs have also helped me slow down in busy and challenging periods of my life, create more awareness of the environment and people around me. Not only does clevercanine’s core values closely resonate with my own values, but I really admire that clevercanine imposes a realistic life-style training approach that doesn’t just finish at the end of class. This results in a long term solution for an enhanced relationship between you and your furry companion! clevercanines believes in every single breed, no matter the size or temperament. Any goal is achievable, and I love that clevercanines is there to support you in every single stage throughout your journey with your dog! 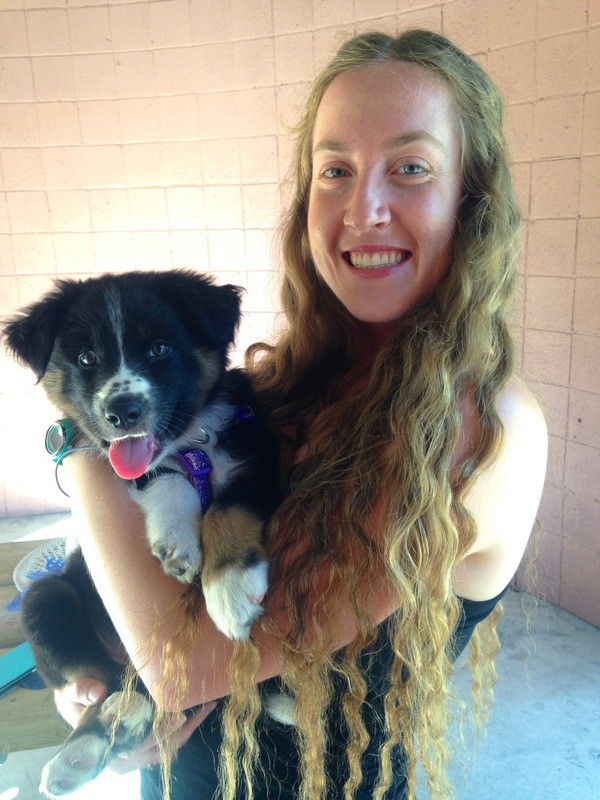 As an aspiring veterinarian, I was eager to get as much experience working with dogs and their owners as possible. 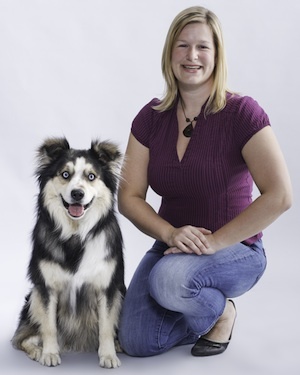 Remembering what I had heard about the clevercanines program I know that it matched my own beliefs that dog training should be about creating a balanced and understanding relationship between a dog and their owner. 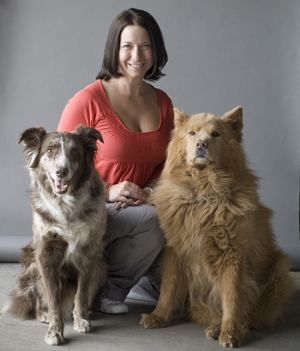 The most powerful clevercanines tools that helped me with my dogs was calmness. My Golden Retriever, Fin, used to be terrified of taking baths – but once I realized that I was getting frustrated during his baths and instead, reacted by being calm. His fear of having baths disappeared very quickly and now he actually enjoys them! 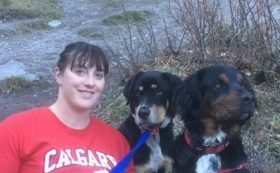 I saw a clevercanines core class meeting in my local park (Elbow Park) and was immediately interested in the overall level of calm and obedience demonstrated by the dogs and the approachability of the instructors. I went up to them after their class had ended and asked about the program and started jumpstart the week after. I have since also participated in core. 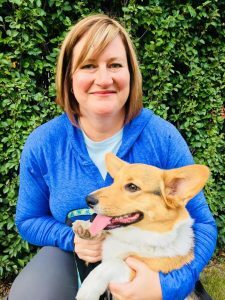 The one thing I love sharing with clients about clevercanines is the company’s unique focus on the interpretation of canine behaviour and how this applies to dog training. The whole “be the cookie” mentality is a completely novel approach to training. After a lot of research on different training organizations I decided to take my two rescues to jumpstart. I immediately fell in love with the company, culture, and philosophies. I knew I had made the best choice for my boys, and after my experience as a client I knew I wanted more! I can finally enjoy walking my dogs and not worrying that one is too excited by everything, and one is frightened by everything. The best tool we got from clevercanines was the hands-free leash. Not many tools can help with such different problems simultaneously. clevercanines training philosophy and practices are sensible with long lasting results, which makes being a part of the team an easy fit to hone my knowledge and skills while being a positive role model to others. The training philosophy goes beyond a quick fix solution. 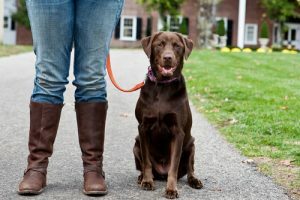 It is about empowering the owner with skills and strategies that will strengthen the relationship they have with their dog(s) while enabling successful relations with other humans and/or their pets. What brought me to clevercanines is the fact that the company does not discriminate against breeds of dogs or dog behaviors. clevercanines truly believes in removing the descriptors that influence how we behave around our dogs. This gives dog owners that believe there is no hope, a second chance to understand their dog and build a trusting relationship. 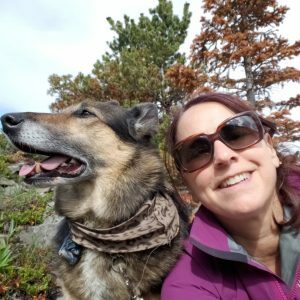 I love to share with others the fact that the unique thing about clevercanines is that training doesn’t stop in the classroom – learning and training is constant and goes beyond the classroom. It is incorporated into your everyday life. There is a true sense of freedom when you can trust your dog to behave in a way that you never thought possible. There is a great sense of accomplishment in experiencing fun and fulfillment with your best friend. 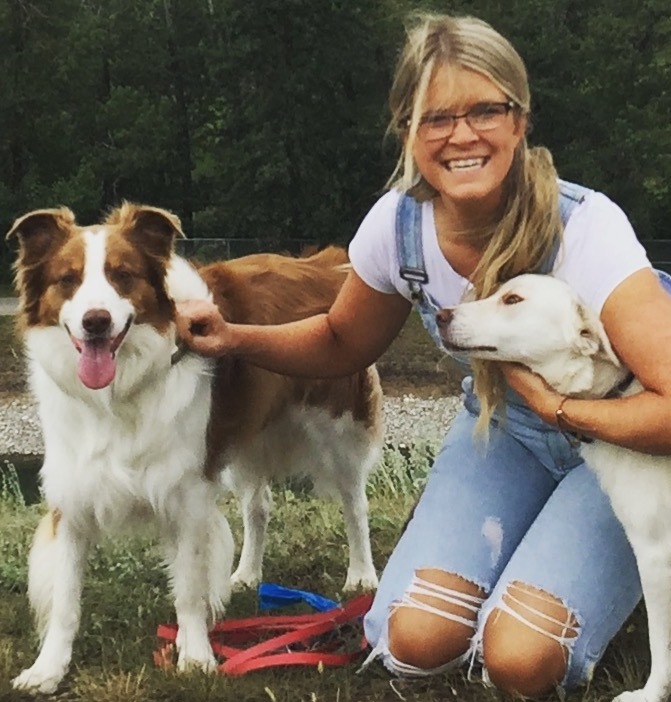 Joining the clevercanines team feels like a natural step in the process – having been a client, volunteer, general cheerleader, now a team member. I’m looking forward to being a more integral part of a team that has a positive and enduring impact on people’s lives with their dogs. 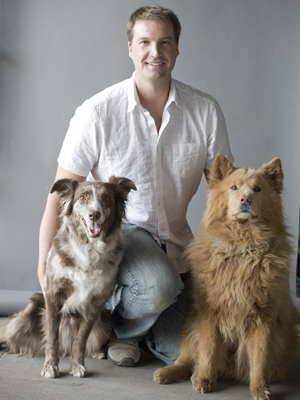 The greatest value I will bring the team is my commitment to the clevercanines approach. 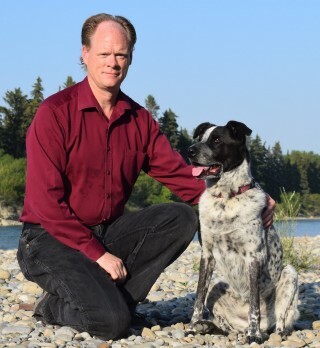 I saw behavioural changes very quickly when Jake and I began using the clevercanines techniques which was gratifying, but even more significantly, over time as I have come to understand myself and Jake more deeply, I’ve gained a new appreciation of the philosophy overall and the benefits of being fully committed to it. I found this was really useful when volunteering as I could offer a wider perspective to clients who may have been distracted by short-term frustrations. 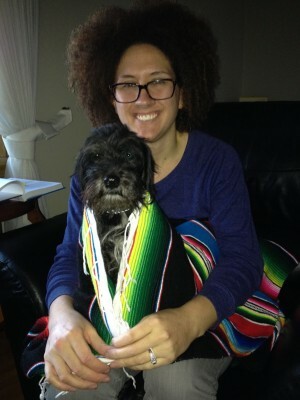 My newly adopted dog Keisha, ultimately brought me to clevercanines. She would run and hide when I turned on the TV. And pull my shoulder out of its socket on walks. The clevercanines philosophy and techniques of working outdoors, at different locations, and without treats was extremely attractive to us. After jumpstart, we were hooked! 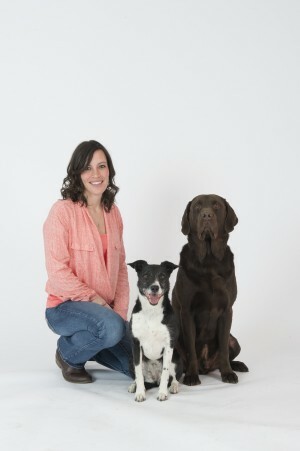 The skill that I bring to clevercanines is my patience and ability to connect with a wide variety of people and dogs. 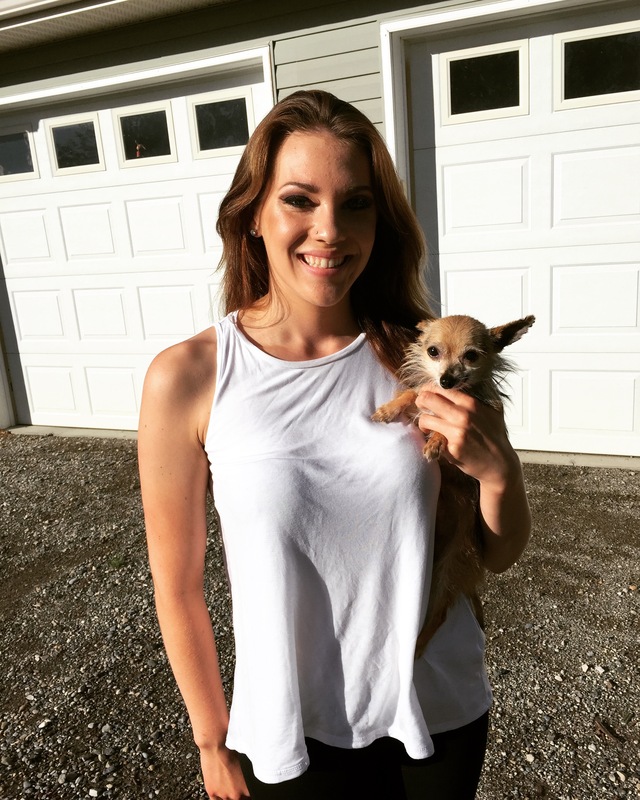 What is most exciting to me about joining the clevercanines team is to expand my knowledge is canine behaviour and to use that knowledge to help others experience freedom and pleasure of sharing their lives with their own dogs. 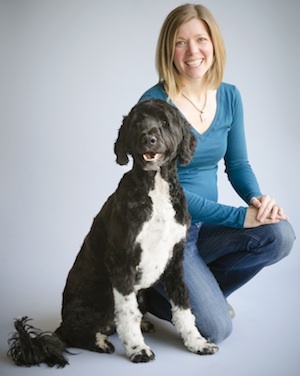 I was drawn to clevercanines because they incorporate their strong values into everything they do. It is important to me to work in a positive and supportive environment, and clevercanines embodies the values that foster such an environment. Not to mention, working with dogs and spending time outdoors is a massive bonus. The one thing I love sharing about clevercanines is their belief that knowledge is power. 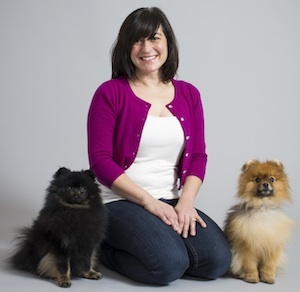 I am a firm believer that education is the base for positive change, and clevercanines uses their knowledge and expertise to empower their clients. I was drawn to clevercanines right away because of the companies goal to save as many dogs as we can through our training. I was looking for the opportunity in making the world a better place and I found it here in clevercanines. The strong core values that clevercanines acts upon is one of the most inviting thing about this business. It has been a dream of mine to work with animals, particularly dogs! Joining the clevercanines team is an amazing opportunity to gain knowledge, learn new skills, and get the chance to work in this wonderful industry. The people who work at clevercanines are very passionate about dogs and customer service oriented. They will go above and beyond to make sure everyone has a memorable experience. 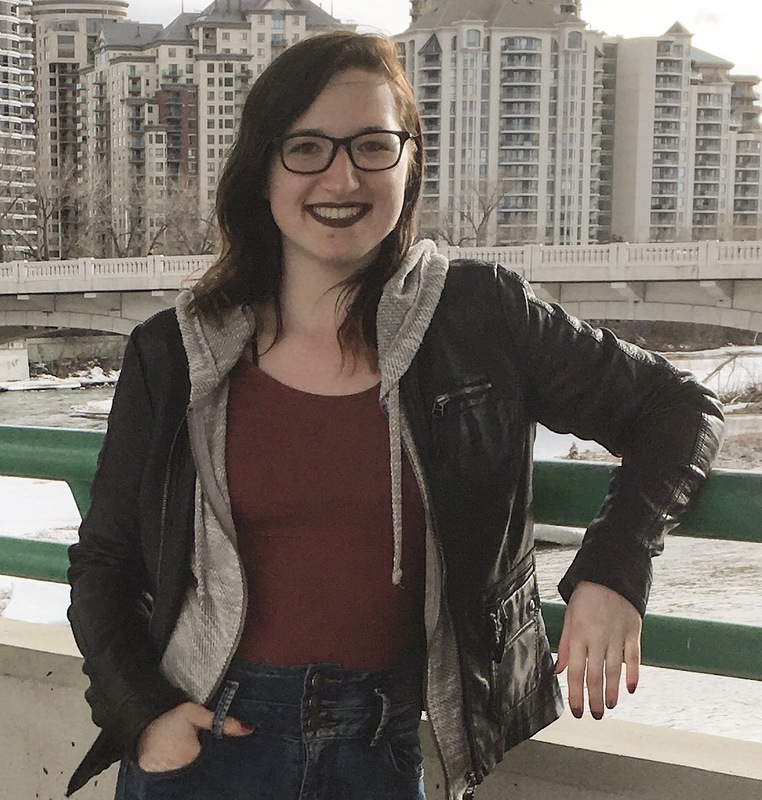 Joining the clevercanines team is exciting to me because I like learning and this is a great opportunity to do so in an area I have always been very interested in. I also like the energy of clevercanines, it seems like a good team. Hard working, good principles and passion. As a neurotic dog owner, I know how important it is to leave my mutt with trusted people and look forward to being part of a team people can rely on. I’m a serial dog owner, so I obviously love everything about trying to communicate with a canine. My strongest value that I’ll bring to the team is that I’m a pretty passionate person and try to have fun when working. Yes, the two can co-exist! The most exciting thing about joining clevercanines is the opportunity to take part in a project with like-minded individuals with whom to share my values and work ethic. I was drawn to clevercanines because of their distinctive approach to training and interaction with dogs, as well as their positive values about growth and benevolence towards humans and animals alike. Before I discovered clevercanines, I had been encountering problems with my dog, Keiko. He was picking fights at the dog park and becoming extremely possessive of me around strangers. clevercanines helped me understand why Keiko acted this way, and they assured me that my dog was in no way a ‘bad dog’. They provided me with the knowledge, confidence and understanding to be able to take him anywhere and everywhere, including the dog park! With the clevercanines training, I have built an unbreakable bond and partnership with Keiko that allows me to experience freedom with my dog. I believe the most powerful and successful clevercanines philosophy is the belief that any goal you have for your dog is possible. This philosophy stands out for me because I have experienced it with my own dog. His confidence, as well as my own confidence, has skyrocketed, and I love setting new goals and challenges for Keiko and I to reach. My positive attitude and desire to always keep improving will bring value to the team. I am most excited about getting to work one on one with dogs and working with them to help them be great members of their families. I love being able to tell people that clevercanines is unique in the sense that no dog is broken. 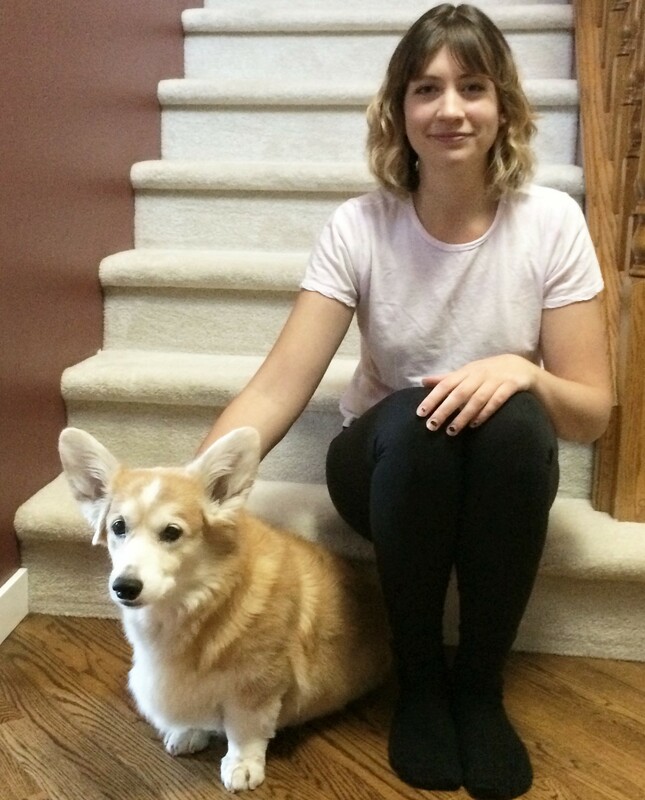 Every dog is unique and capable of establishing a solid bond with their owner. 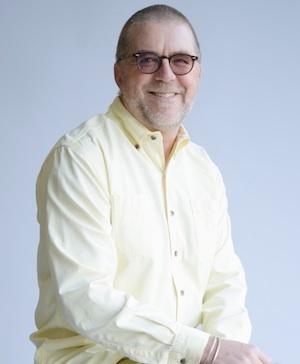 I came to clevercanines because of my desire to help a small business with the successful implementation and efficient use of Apple products and technology. 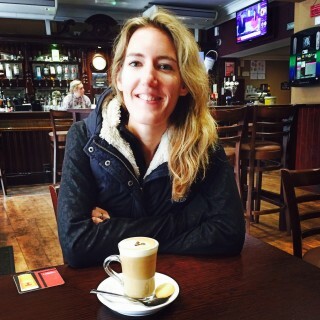 I like to help see others grow their businesses and see success. The one thing I love sharing about clevercanines is that it’s really a fun place to be and everyone is always having a great time doing their jobs. Our dominant, bossy, barking, biting, rude, aggressive, uncontrollable, high-energy working-breed puppy literally LED us to clevercanines. Absolutely no other training method gave us results, because those labels – without a true understanding of the behaviour behind them – limited our opportunities. Our lives changed overnight after our first jumpstart class; Remy began to relax, we became more confident, and, slowly, our home became balanced all because of gaining a deep understanding of what makes Remy, Remy. The most powerful lesson learned from clevercanines is to keep growing together. Every year we are learning new things about our dog, giving him new challenges, and trying new things – and we change, too. What worked last year, sometimes doesn’t work this year! Being part of this community has given me the confidence that I have the support and tools to make sure Remy will be a calm, respectful and happy family member for life. In my line of work, my clients are practically chosen for me. I received an email from Tracie requesting my help with their database, and that’s how I came to work with the clevercanines. The passion of the team, and the charm of all the staff have kept me close. I really enjoy working with this group of people. 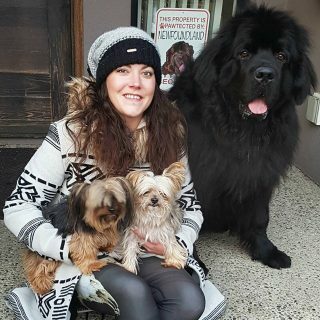 I’m confident to recommend clevercanines to my dog-crazy friends and family just based on the enthusiasm of the staff and the knowledge they put forth on the website. When my two small children are old enough to take care of a dog, I know where I’ll be taking it to learn how NOT to destroy my furniture! 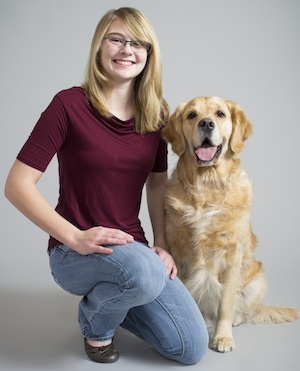 I look forward to working with clevercanines well into 2013 and beyond.